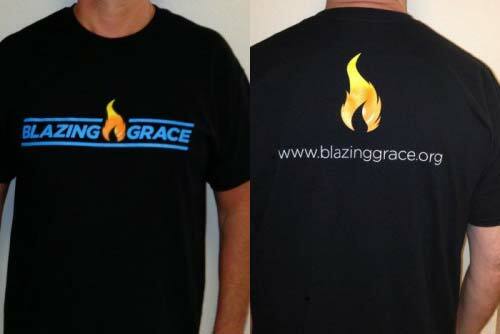 The Blazing Grace T-shirt has the Blazing Grace logo printed on the front; the website is printed on the back. Wear one to spark conversation or support the ministry. Quality Gildan Dry Blend shirt is made of 50% polyester/50% cotton.